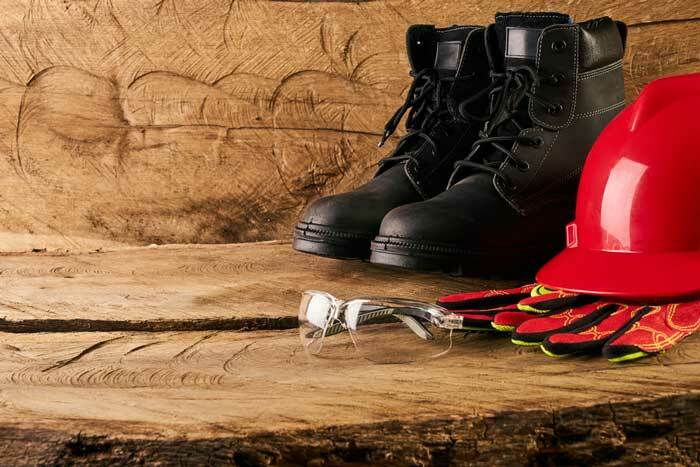 Having the right safety work boot is essential if you are a worker. It is because it contributes a lot to your performance, comfort, and well-being while you are at work. 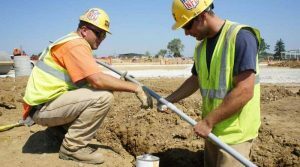 It is also crucial in the sense that it serves as the foundation of excellent work safety. With that in mind, you really have to find out the differences between the different safety shoes available in the market. That way, you’ll know exactly which one fits the work environment you are in. Choose the best safety boot by learning about steel toe versus aluminum toe (their individual differences). Note that both the steel toe and aluminum toe are capable of offering protection. However, they have their individual pros and cons. Find out how to choose the proper footwear then that’s guaranteed to protect you at work through this article. What is a Steel Toe Boot? The classic steel toe cap has been used for a long time already. It is one of the sturdiest safety boots today that offer reliable and dependable toe reinforcement. To make the steel toe shoe, manufacturers build a toe cap from hardened steel and put it in the toe compartment. Such facilitates additional protection, especially the lower parts of your body. In general, this type of safety footwear is designed in such a way that your feet will be fully protected from heavy objects (in case they fall), compression, and obstacles. Several manufacturers also add a hardy midsole plate. It offers protection for the under sole from beneath. One of the major benefits of the steel toe boot is the presence of a heavy-duty steel utilized for the toe cap insert, making it really solid and effective when it comes to protecting your toes and feet from different objects, especially falling ones. It also has a higher leave of shear resistance from grinders or chainsaws. It is also beneficial in the sense that it can withstand even the highest weight linked to compression. 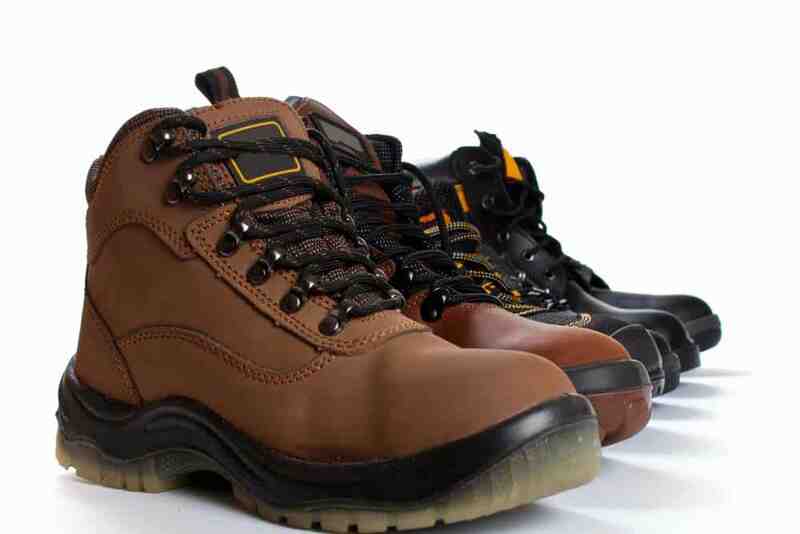 In comparison to aluminum toe, the steel toe boot offers more protection. It is also cheaper than aluminum. However, it is also quite heavy, which some people find uncomfortable. What is an Aluminum Toe Boot? Aluminum toe safety boot has also gained a lot of popularity recently. It is as strong as steel. However, both are different in the sense that the aluminum toe safety boot utilizes different materials and components in its overall construction. Expect it to be made of light materials (aluminum being one of them). This type of shoe may also be made of titanium or a combination of other popular lightweight materials. In comparison to the steel toe safety boot, one with an aluminum safety toe cap is lighter in weight, which is the main reason why many prefer it. Since it is light, it instantly means that it is possible for you to move more freely when you are wearing it than when you are wearing an aluminum toe safety boot. Just like what has been mentioned earlier, it offers similar strength to a steel toe. It is also just as durable. Also, remember that the toe box of the aluminum toe safety shoe is larger since it is designed to be a bit thinner when compared to other safety toes, like the one made of steel. It makes the shoe more comfortable. The problem with aluminum toe safety boot is its more expensive price when compared to steel toe. It is also not as impact and compression-resistant as steel toe boot. The actual risks present in your work environment – Are you prone to incurring injuries because of the many heavy and complicated objects and machinery that might fall or roll on you as you do your job? Are you prone to getting crushed by a heavy object? Are there slippage risks and electrical hazards present in the place you’re working? Those are just a few of the questions you have to ask yourself to identify the actual risks that are constantly exposed to you. If you’re worried that your toes and feet will eventually get injured by extremely heavy objects, then choose steel as it is the most resistant and thickest material for a safety toe. That said, you can expect it to offer maximum protection. Tasks that you need to do – If your work involves a lot of walking and climbing then aluminum toe safety boot is highly recommended as it is more lightweight. Being lightweight, expect to move around freely when wearing it without the risk of having sore and fatigued feet and legs after just a few hours. Weather – The weather at work is also important. If your workplace is extremely hot or cold, then consider going for a safety toe cap, which won’t excessively conduct heat or coolness. In this case, composite toes are highly recommended. Such will make you feel comfortable while working. Both steel toe and aluminum toe can offer you maximum protection. However, your choice will still be dependent on your job and the specific hazards and environment you are constantly exposed to. Before buying a safety shoe, it is also important to determine if you need other protective features. For instance, you may need a boot with protection from slips and electric hazards, water and oil resistance, and metatarsal guards. Figure out what you really need so you can really get the kind of protection you need while you are at work. 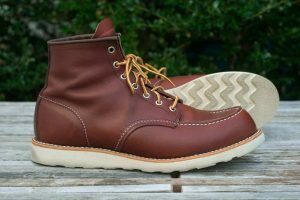 Wedge vs. Heel Work Boots | Which Type Is For You? 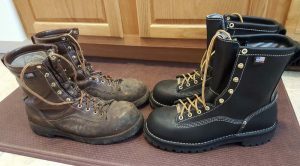 Slip on vs Lace up Work Boots: Which One to Wear and When?